Although UNIX Shell Programming is very traditional topic of computer science, it is key to successful projects in almost every new technology. Whether you want to perform repeated tasks in predictable manner or interested in automation, shell programming is your friend. In this shell programming course, you will learn many topics in this course as outlined below. Why Use Scripts, How Scripts Help in improving efficiency, and automation. Commands, variables, and control structures. Creating and exiting of sub shells. Using dot notation and source command. Debugging parts of script with “set –x” and “set +x” within script. This course will enable you to write UNIX shell scripts to automate routine tasks, run commands at certain times and be more productive in your day-to-day life. Shell scripts, when used in combination with cron utility can significantly reduce manual work. If you are a programmer or a system administrator responsible for large number of machines, this course is for you. Basic knowledge of Linux operating system is required for this course. You should be running Linux either on your computer or a virtual machine. The easiest way of running virtual machine is installing it on Virtual Box. Basic knowledge of control structures like if-then-else is also a plus. You should know how to login to Linux and set permissions for files (use of chmod command on Linux). Steve is a dedicated IT professional and Linux advocate. Prior to joining Red Hat, he spent several years in financial, automotive, and movie industries. 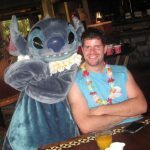 Steve currently works for Red Hat as an OpenShift consultant and has certifications ranging from the RHCA (in DevOps), to Ansible, to Containerized Applications and more. He spends a lot of time discussing technology and writing tutorials on various technical subjects with friends, family, and anyone who is interested in listening.